LG is going to announce the G3 come May 27, yet somehow, the company has managed to keep its next flagship mostly under wraps. We have seen the backside’s button arrangement a couple of times, but nothing like the leak that showed up tonight, assuming these photos are the real deal. 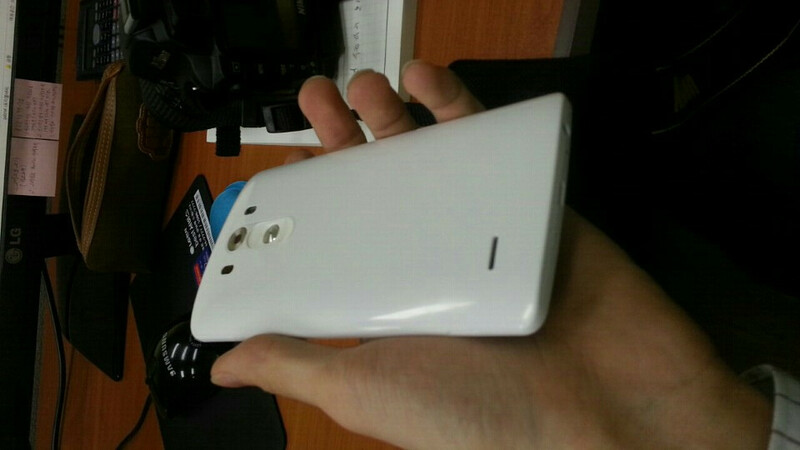 In two photos posted to Korean site, Seeko, we are getting both front and back shots of the phone that should be awesome, if it’s anything like last year’s LG G2. The photos aren’t giving us a ton of info, but you can most definitely see the massive screen on the front (pictured below) that is running edge-to-edge with very little bottom bezel. We also have a micro USB port on the bottom, along with a bottom headphone jack and microphone. Obviously, the color of the phone is white. On the back (pictured above), we can see the button arrangement for volume and power. The design matches up to the two leaks we have seen with its circular power button, coupled with flush volume up and down tabs. The camera is centered above the buttons, with a dual-LED and other sensor (could be IR blaster) straddling it. Last, there is a speaker grill to the bottom left. The phone looks quite large, and is rumored to have a 5.5-inch QHD display, but then again, we could be looking at a person with small hands. We won’t know for sure on the size until we see it sitting next to another phone. 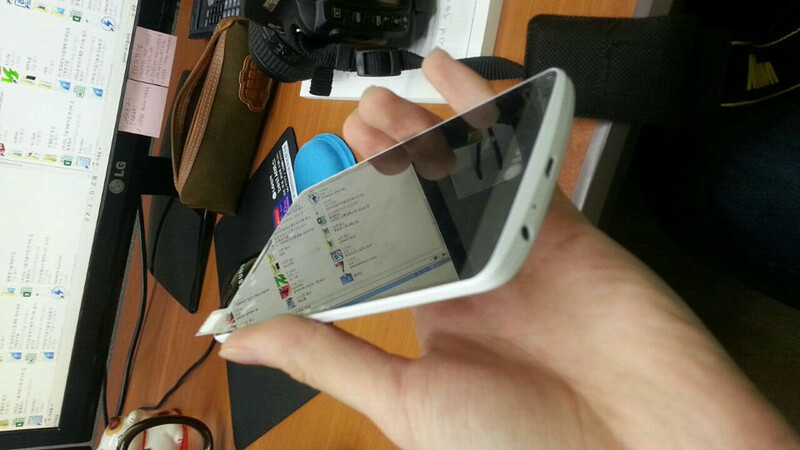 Assuming these photos of the phone are legit, what are your thoughts?